For those looking for a spacious and stylish vehicle, consider the new Hyundai Veloster, available at our Nashua dealership. This hatchback comes with a sport-bike-inspired dashboard that makes it truly unique. You will find advanced safety features and the latest infotainment options in the new Hyundai Veloster. Our Nashua customers will surely love driving it. We have a huge selection of this vehicle and other new vehicles for you to choose from. You can also refine your search based on color, trim and pricing. Drop by our store for a test drive in the new Hyundai Veloster in Nashua. You will know why this vehicle is one of the most coveted vehicles on the market. Further, if you decide on a model and would like to learn more, our staff will help you with it. 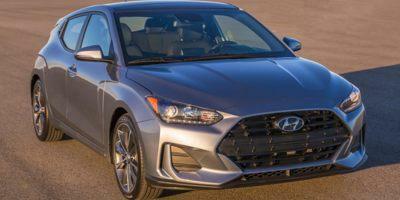 Our dealership offers a number of financing options on the new Hyundai Veloster in Nashua. We are one of the most renowned names in the area for automobiles. We will be glad to see you drive back home in the new Hyundai Veloster from our Nashua dealership. It has been our sincere endeavor to ensure that our customers have a satisfactory ownership experience. We understand the importance of vehicle maintenance, that’s why we also have well-equipped service and parts departments. So next time you are looking to own the new Hyundai Veloster, simply contact our Nashua dealership’s sales staff and we will take care of the rest.